To a woman, pregnancy might be one of her greatest achievement in life. We can all agree that every woman has once dreamt of bearing their child and start their own family. But with the case of a 17-year-old girl named Kimberly, her supposed to be greatest dream turned into her worst nightmare. GMA’s “Kapuso Mo, Jessica Soho“ has featured her very unusual story. 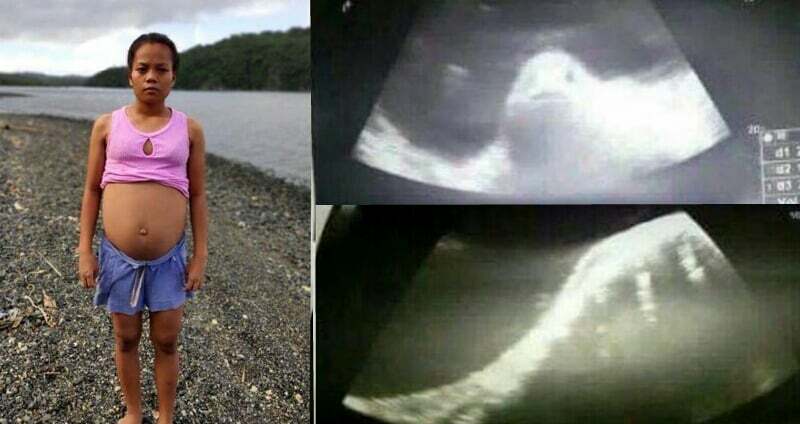 They also uploaded the petrifying result of her ultrasound which immediately went viral. Her petrifying story caught the attention of the public and became curious about the real reason behind her odd experience. Inside her womb, a somewhat fish-looking creature has appeared. Unlike what we usually expected to see, her result showed an image that would petrify every mother. She and her family were definitely alarmed upon seeing this unexpected result. Like them, many netizens were also curious about the explanation of her case. They were also horrified upon seeing her ultrasound result online. Her result immediately gained tons of sentiments from people, mostly were criticisms. Although her story can be alarming, some people still managed to make fun of her situation. Some of them questioned her if she made love with a sea creature which resulted for her to have a fish inside her. People also tried to make fun of her condition. This kind of phenomena isn’t new to the public. In fact, there have been several reports about women who gave birth to animals. Although there hasn’t been any scientific proof, many people still chose to believe this kind of phenomena.